Members of the Fayetteville City Council at a January 2019 meeting. Photo/Ben Nelms. What was a prior proposal to construct an apartment complex on 31 acres on Ga. Highway 54 West across from Piedmont Fayette Hospital was recommended for an OI (office institutional) zoning by the owner on Jan. 17, with that request recommended for approval by the Fayetteville Planning and Zoning Commission. Adjacent to the Togwatee Village office and retail area, the Dogwood Forest assisted living facility and the Emory Springs subdivision, the 31.55-acre property was proposed in June 2018 for 240 apartments and 12,000 sq. ft. of office space. The property is currently zoned for single-family residential, though questions arose in past meetings about the likelihood of it being developed for such a purpose given that it fronts Hwy. 54 West, is surrounded by retail, office and medical institutional spaces to the east and west and by Piedmont Fayette Hospital and other medical offices to the north. Questions on the desirability of the initial proposal were previously raised by city planning staff and some on the planning commission and city council, noting that apartments are more suitable, per city plans, to be located nearer to the downtown area. Meantime, the Fayetteville Comprehensive Plan places the property in the Business Park character area. Things changed on Jan. 17, when the applicant requested the property be zoned office-institutional, noting that the property could be marketed for that purpose. There were a significant number of Emory Springs subdivision residents present at the meeting. Also present at meeting last year, they had objected to the proposed apartment use. Emory Springs is situated immediately southeast of the 31-acre property. Emory Springs residents at the meeting appeared to agree with the change in proposed zoning categories. 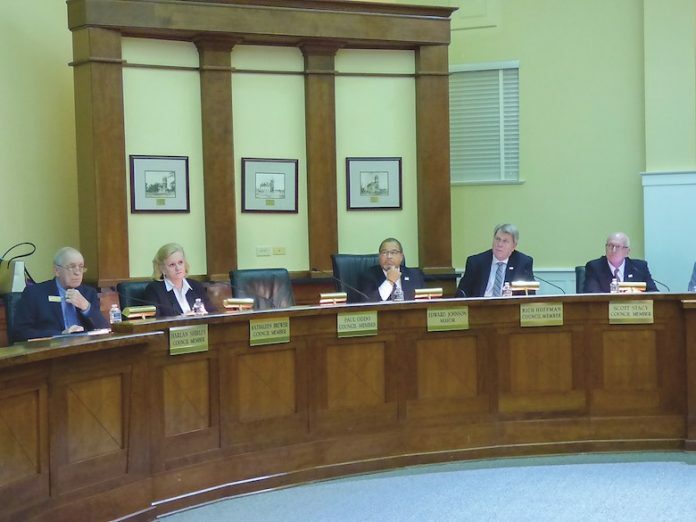 The matter will be taken up by the Fayetteville City Council Feb. 7.